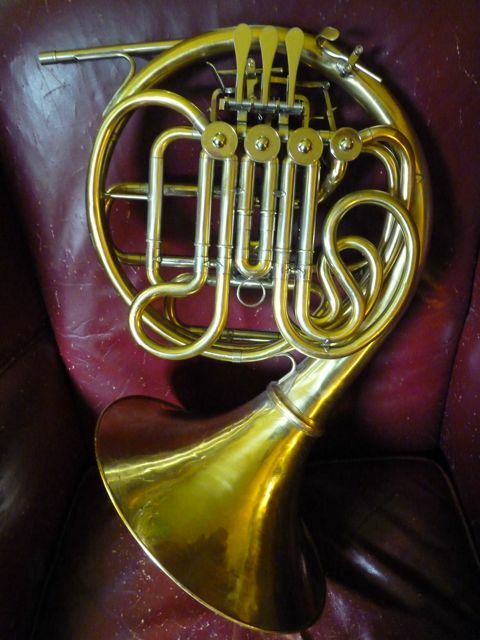 Mid June list of horns for sale. With new prices! 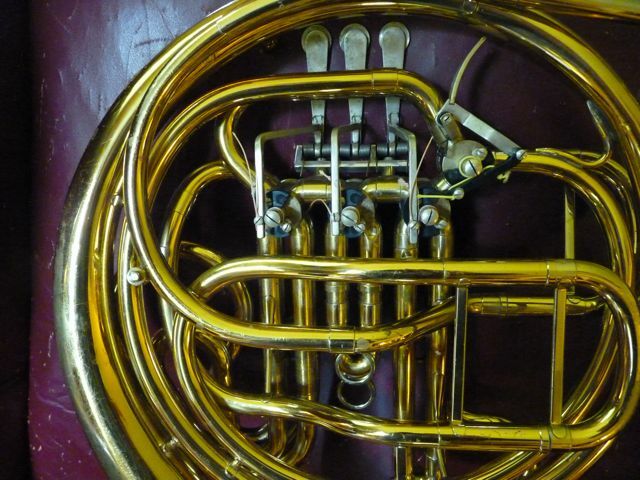 Other Details: Very rare and excellent condition. I have no idea how many of these were built. Serial # from the early 60’s. I’ve never seen or heard of another, but I’m sure some folks know of these. 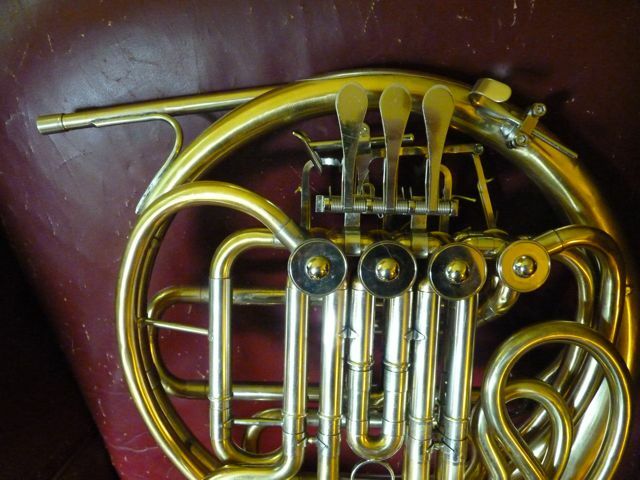 Thumb driven F extension and pinky driven stop/ A valve. email questions additional pix available. 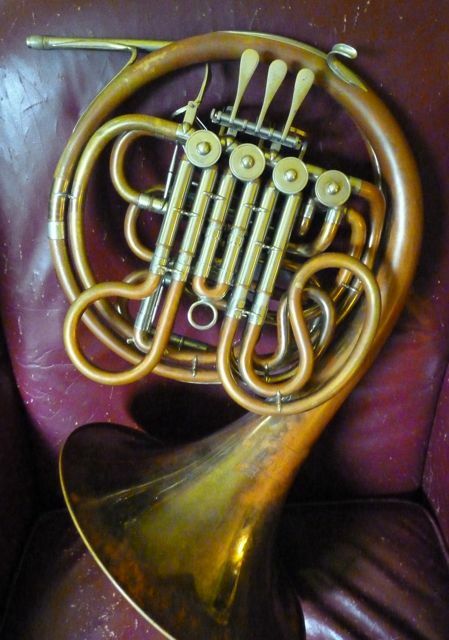 Extras Included: Factory brown Holton thin profile hardcase Note the modified 77 into a 75… Price $1850.00 Returned damaged will re-list when repaired. 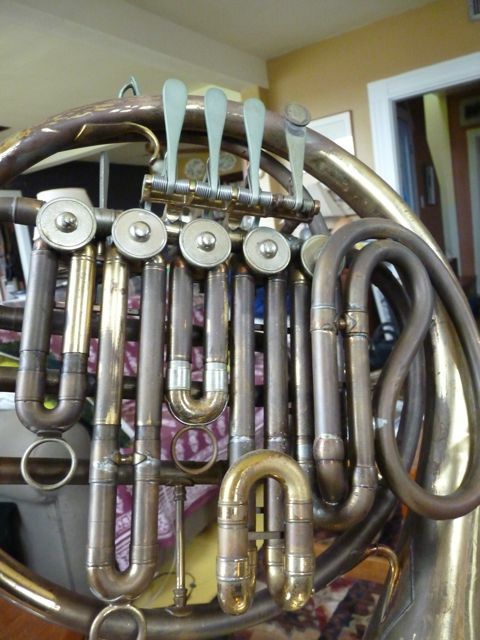 Other Details: Screwbelled using a Yamaha ringset. 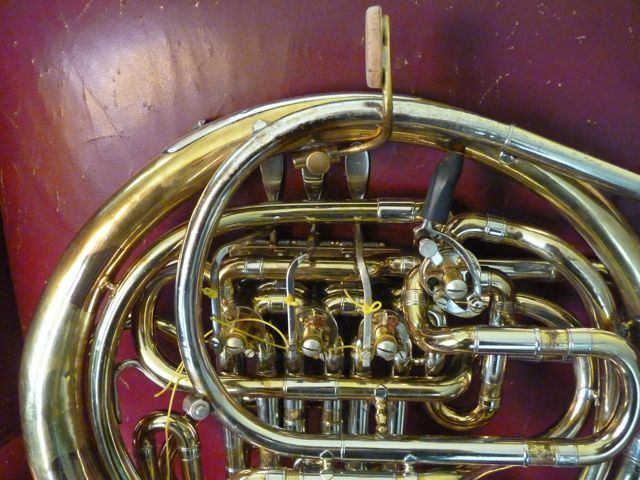 Additional work done, stripped, adjustable pinky hook.A good horn for a serious player who needs the detachable flare for portability or just because…The Yamaha ring set is light weight and sits a little higher up the throat of the flare, The same ringset is standard on the famous 667D. email questions more pix available. Extras Included: Either a Factory Yamaha black case or a Yamaha branded “soft gig bag”. 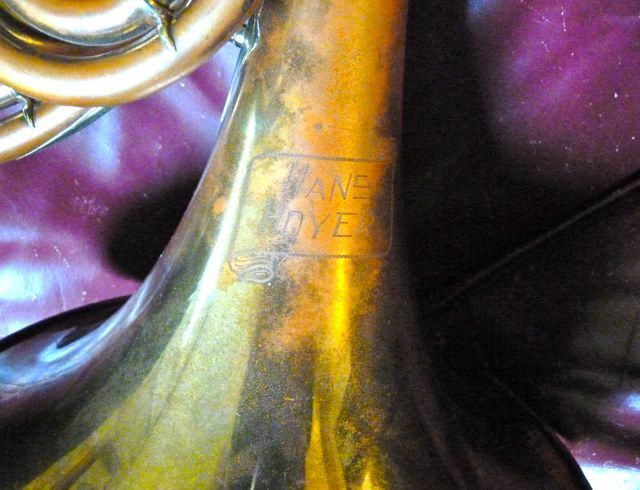 Other Details: One of only two Hoyers that I’ve ever owned that has the Bb tuning slide. Built in the DGR probably in the 50’s pre-serial number, Has assembly numbers on the valves. 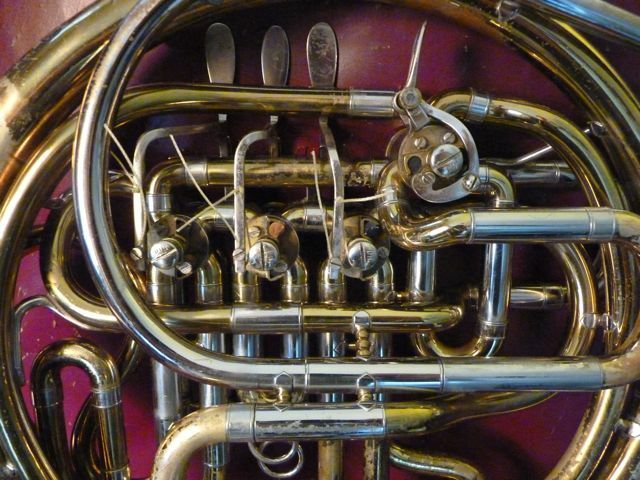 Great old horn with that wonderful early Older Hoyer sound. 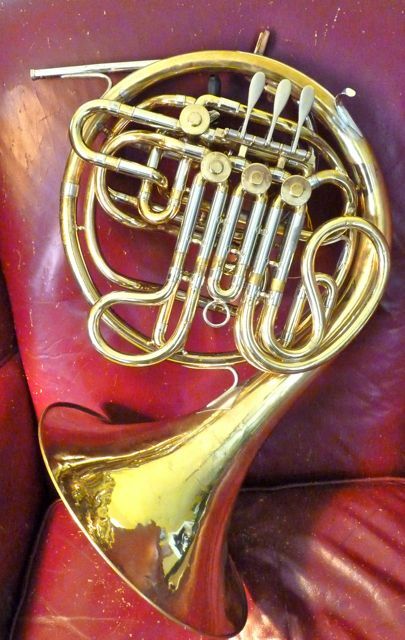 The lead pipe was originally designed for the older German mouthpieces with the shank that is different from modern American mouthpieces. It has been (removable?) sleeved to fit modern MP’s. 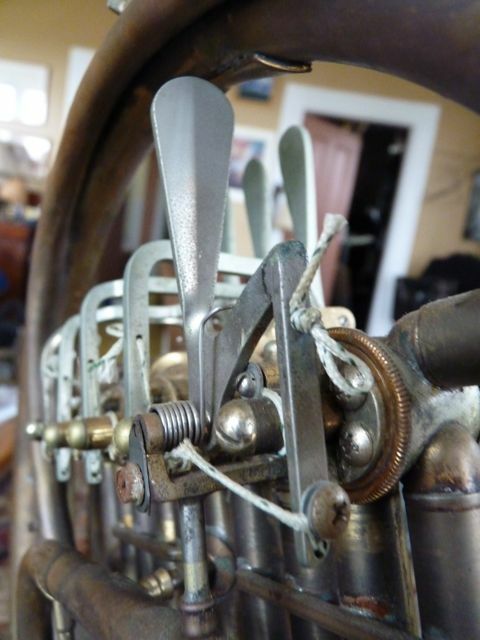 Can stand in either Bb or F. Mechanical change lever with string linkage on 1,2, & 3. Email questions additional pix available. 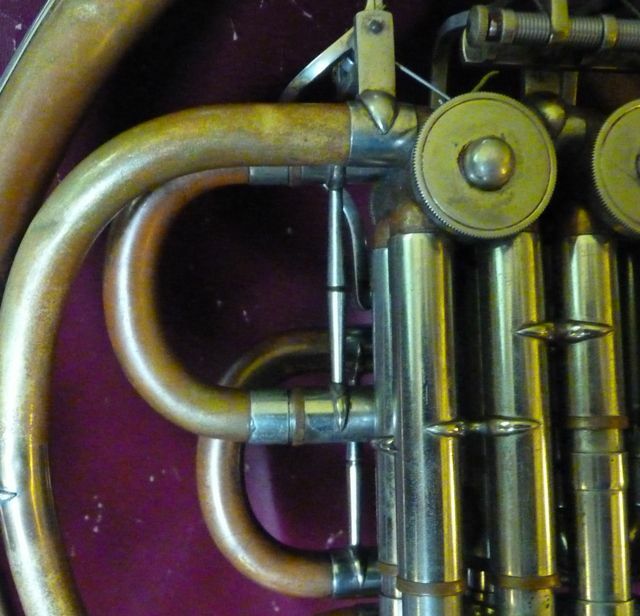 Oxidized brass w/o much lacquer. Extras Included: generic good fixed bell case. Other Details: McCracken designed. 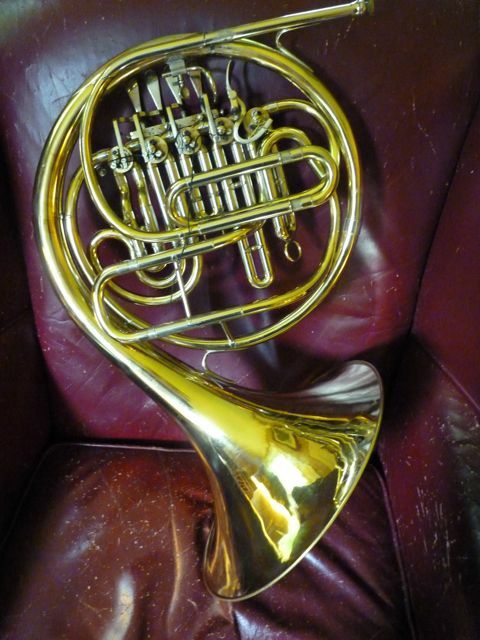 A very nice Fidelio with a couple of up grades, an amado water key and spatula buttons. 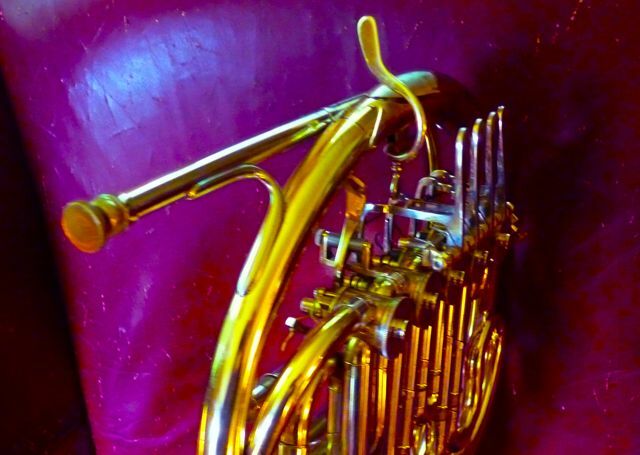 Plays well centered and in-tune across the Bb & F horns. Has the hyper durable King gold lacquer. 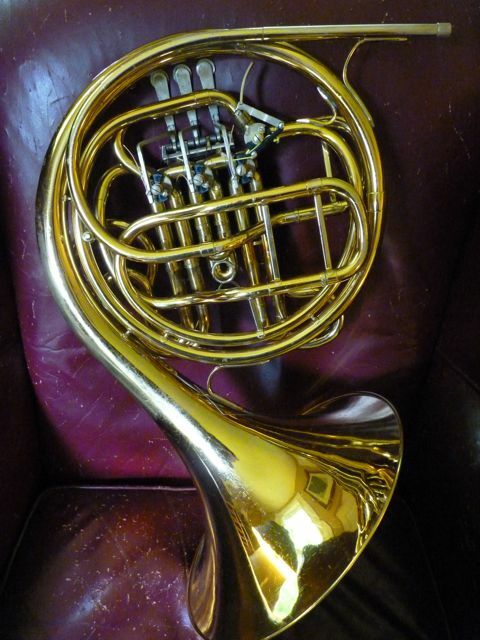 Good up and coming serious intermediate horn that will also go to college. 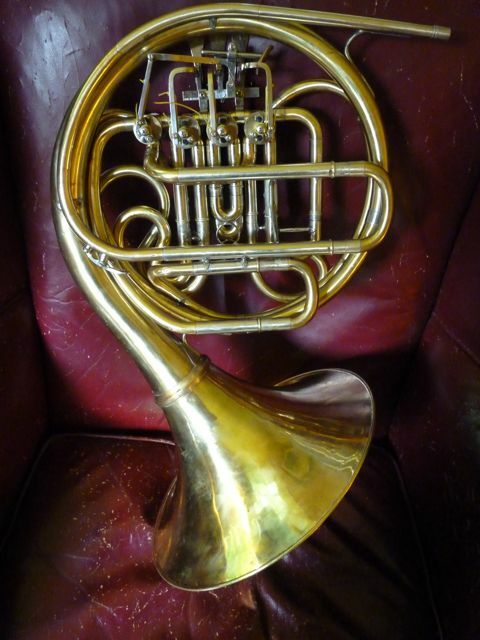 A good re-emergent adult horn, free blowing but without the need for ‘extra air’ required by an Eroica. Case: fixed bell hard case. Other Details: Purchased out of western Michigan several years ago. Unknown builder, but very creative in his or hers building style. 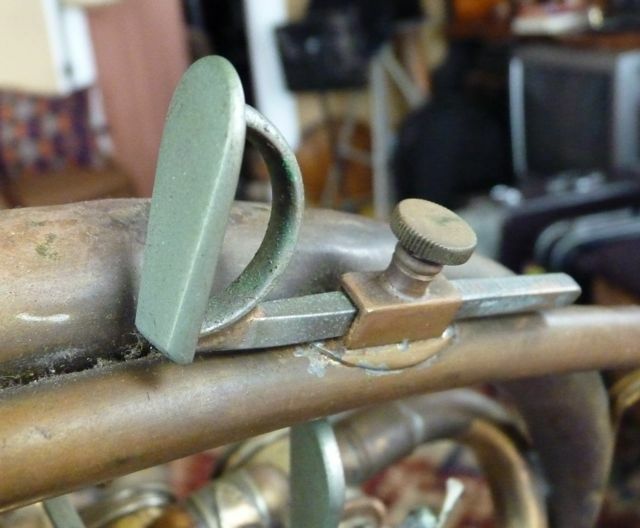 Home made turns using existing bends, the change valve (Which drives the stop A extension) made from a standard spatula….The pinky drives the F extension. 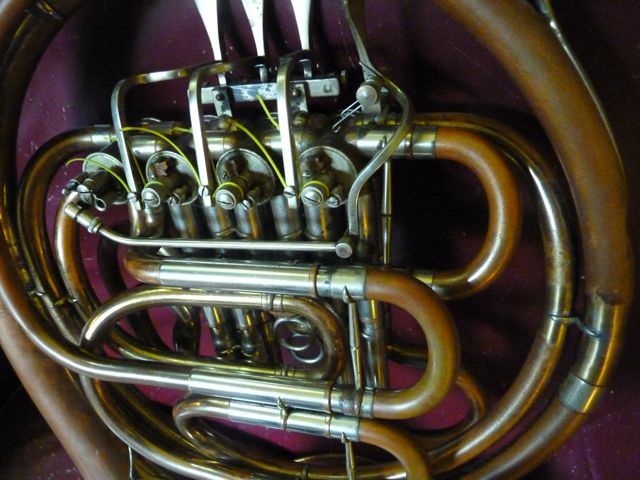 A quirky fun horn that would allow you to fool w the idea of a five valve Bb for a reasonable investment. 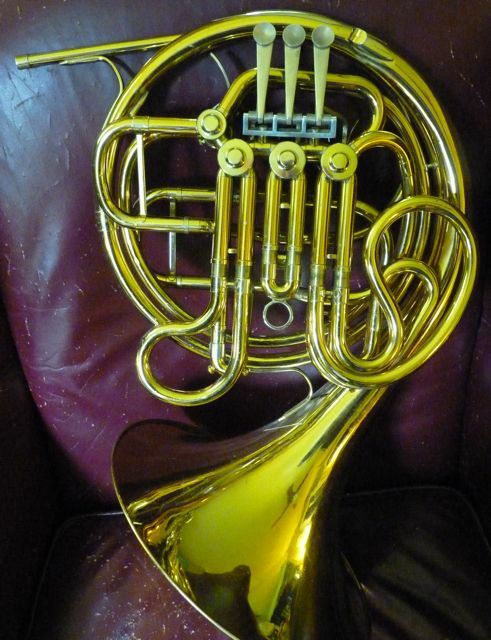 A good conversation or teaching horn. 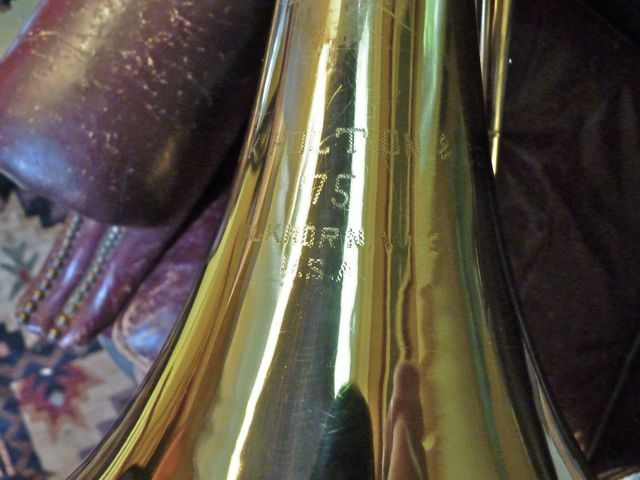 Other Details: A horn from F A Reynold’s shop shortly after his leaving King, About the late 40’s All original, lacquer had been remover but the horn is polished. on out casing of the #2 slide is engraved “Dayton Public Schools FH #6. Very good compression. 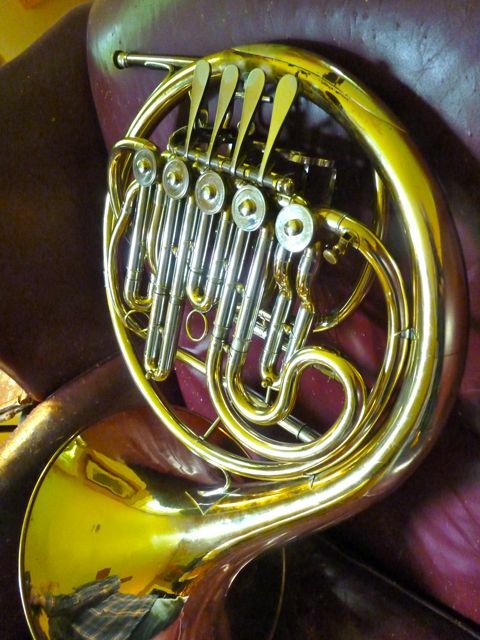 All slides smooth and Valves are quick w/ no bearing play. It has a Schmidt style hook flipper, a rubber encased thumb lever, amado WC, Mich badge. 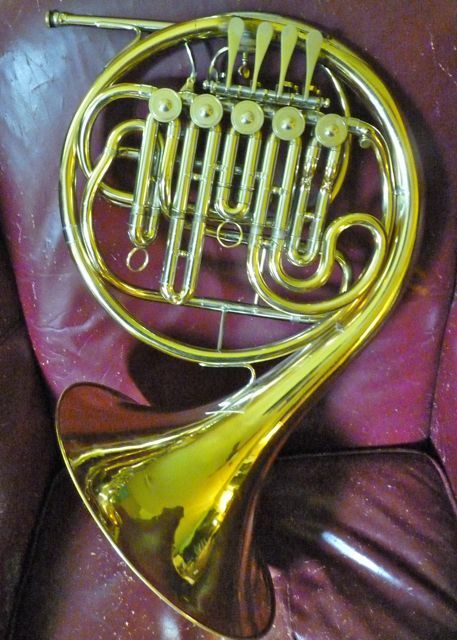 Plays very well…..
As with all the horns I offer, there are always others,(ask) , More pix of specific horns are available (What do you want to see??) and prices are not set in stone, but with in reason. Questions answered.